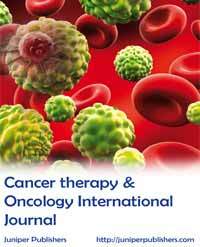 Cancer Therapy & Oncology International Journal is dedicated to publish the contributions on all aspects of experimental and clinical cancer research. CTOIJ is a multidisciplinary, Open Access, peer reviewed journal accepts Research, Review Articles, Short Communications, Mini- Review, Case Reports, Opinions, Letter to Editors etc., Authors are requested to submit complete unpublished and original works, including but not limited to the following fields: cancer biology, cancer science and therapeutics, cancer nanotechnology, cancer detection and prevention, radiology, radiation oncology, radiation therapy, medical and clinical oncology. CTOIJ providing a platform for researchers, scholars, clinicians and academicians to collaborate and share knowledge.